applicable to this Court by the rules framed by the Hon'ble High Court under the said Act. 2) The sanctioned strength of the Judicial Officers of the Court of Small Causes, Mumbai is 44, which includes the Chief Judge, 10 Additional Chief Judges and 33 Judges. However, the working strength as on 01st January, 2014 is 39, which includes 6 Additional Chief Judges and 33 Judges. Presidency Small Causes Court Act, 1882. The Registrar also dealt with Rent Act matters up to the stage of filing of Written Statement by the Defendant/s. The Chief Judge of this Court is Controlling Officer, whereas, Registrar is Drawing and Disbursing Officer of this Court. The Registrar, Court of Small Causes, Mumbai is the Public Information Officer and the Additional Chief Judge, Court of Small Causes, Mumbai is the First Appellate Authority, as per the provisions of The Maharashtra District Court Right to Information (Revised Rules), 2009 framed by the Hon'ble High Court under Right to Information Act, 2005. 4) Powers exercised by the Judges of the Small Causes Court at Mumbai : The Judges are empowered to hear and dispose off the money suits, wherein, the claims does not exceed Rs. 10,000 subject to exception laid down under Section 19 of the Presidency Small Causes Courts Act, 1882. The said Pecuniary Jurisdiction of Rs. 10,000/- has been enhanced to Rs. 25,000/- by the Government of Maharashtra, vide Maharashtra Act. No. XV of 1987. However, the said Act of enhancement of Pecuniary Jurisdiction of Bombay City Civil Court and Court of Small Causes, Bombay has not been implemented till today. They are also empowered to hear and dispose off suits under Section 41 of the said Act. As per the provision of Section 38 of the Presidency Small Causes Court Act, 1882, the Full Court Applications are heard by a Bench consisting of two Judges of this Court. The Bench consisting of two Judges also hears the Appeals and Revision Applications under Section 42 of the Presidency Small Causes Courts, Act, 1882. 5) The Court of Small Causes, Mumbai has exclusive Jurisdiction under Section 28 of the Bombay Rents, Hotel and Lodgings House Rates Control Act, 1947 irrespective of value of the subject matter and as such, hears all the suits under the said Act in Greater Mumbai. An Appeal/Revision from a decision of a Judge under the Bombay Rent Control Act, 1947 is heard by a Bench consisting of the two Judges under Section 29 of the Mumbai Rents, Hotel and Lodgings House Rates Control Act, 1947. 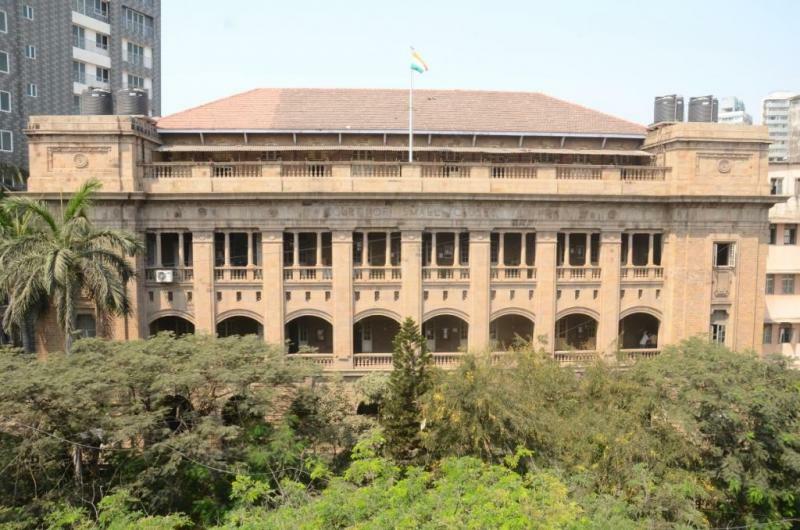 The Court of Small Causes, Mumbai hears all applications under Section 11 of Bombay Rent Control Act for the fixation of the Standard Rent and all application under Section 24 for restoration of Essential Service or supply. This Court has also exclusive jurisdiction in the matters under the Maharashtra Rent Control Act-1999 which came into force with effect from 31 March, 2000. 6) (a) Appeals and proceedings under Sections 217,218_A, 218_B, 218_C and 394(5) of the Bombay Municipal Corporation Act, 1888 are heard by the Chief Judge or any of the Additional Chief Judge. The applications under Sections 503, 504 and 507 are also heard by the Chief Judge or any of the Additional Chief Judge. Similarly, the Election Petitions under Section 33 of the said Act are heard and disposed off by the Chief Judge or any of the Additional Chief Judge. The Government, vide its Notification, Law and Judiciary Department, No.SSC-2964/2175-H, dated 3rd January, 1968 has empowered the Additional Chief Judge to exercise the powers and performed the duties of the Chief Judge. (b) The Chief Judge is empowered to hear and dispose of applications, Anti Corruption matters under the provisions of Section 3 read with Section 4 of the Criminal Law (Amendment) Ordinance, 1944. 7) Appeals under the Payment of Wages Act, 1936 are heard by single Judge of this court. (a) Section 12-A of the Maharashtra Ownership Flats (Regulations of the Promotion or Construction, Sale, Management and Transfer) Act, 1963. (b) Section 23 of the Maharashtra Debt Relief Act 1975. (c) Appeals under Section 42 of the Mumbai Rents, Hotel and Lodging House Rates Control Act, 1947, from an order passed by the Controller. (d) The Judges of this Court have also exercised the powers to entertain and try the Applications under the Displaced Persons Act, 1954.
protection under the Rent Acts i.e. T.E. & T.E.R. Suits. Court Room No. 21 is designated as Special Court for trying Money Suits i.e. Summary Suit and Regular Suit etc. Court Room No. 24 is designated as “B.P.T.Court” for matter filed by or against the Bombay Port Trust. At present, Appellate Bench, Court Room No.5 and Trial Courts i.e. Court Room Nos. 24, 27, 28 and 29 are presently vacant. and T.E. & T.E. & R Suits under the provisions of Section 41 of the Presidency Small Causes Court Act, 1882. Guidelines for mediation scheme, Notice and Forms please refer Circular Notices tab. Outsource work of Photocopying (Xerox) for Head office and Bandra Branch. STATEMENT SHOWING REMITTANCE OF UNCLAIMED DEPOSITS LYING FOR MORE THAN 3 YEARS LAPSE DEPOSITS TO GOVERNMENT. Regarding matters updating on 12th November, 2016.